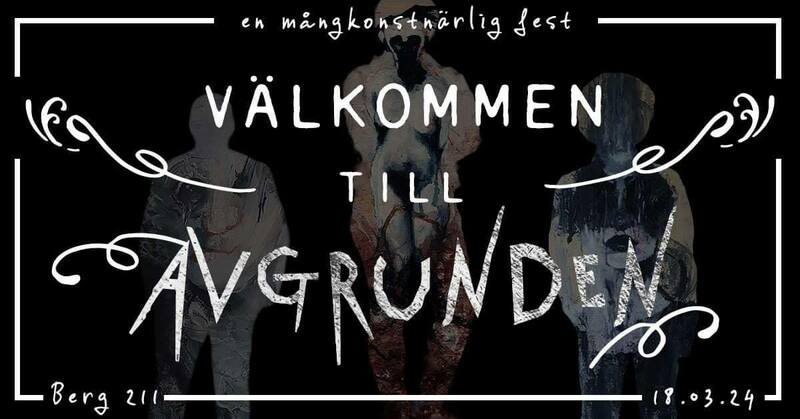 Avgrunden (The Abyss) is a national art association for subcultural artists and we’re inviting you to a festival of art, music and poetry in a venue located under a mountain in Gothenburg. During the evening, we’re presenting an art exhibition with over a dozen artists participating, to the sound of live music performed by Lamashtu, Panzerkardinal and others. The theme of this event is mental health, a subject all of the artforms will address. Through this event, we want to raise awareness of the issue and the stigma of mental health, as well as raise money for initiatives working with mental health. All artworks sold during the evening will go to the mental health organisation Mind, who offers a suicide chat service, as well as works to promote mental health politically, among other things.